It is sometimes hard for those outside of the abusive relationship to understand why women stay. It is sometimes hard for those outside of the abusive relationship to understand why women stay. The constant question is “Why doesn’t she just leave?” The answer is much more complicated that it appears. Domestic violence takes many forms and includes many factors, some of which encourage conditions that keep a woman psychologically insecure, economically dependent and socially isolated. “What I thought was love was a psychological trap.” Leslie Morgan Steiner, author of the bestselling book, Crazy Love. Steiner continues, “The other question everybody asks is, ‘Why doesn’t she just leave?’ Why didn’t I walk out? I could have left at any time. To me, this is the saddest and most painful question that people ask, because we victims know something you usually don’t: It’s incredibly dangerous to leave an abuser. Because the final step in the domestic violence pattern is to kill her. Over 70 percent of domestic violence murders happen after the victim has ended the relationship, after she’s gotten out, because then the abuser has nothing left to lose. A con man knows how to read their mark. Likewise with an abuser. People skilled in coercion and manipulation make use of their empathic skills. The person who can often hurt you the most is the one who knows your vulnerabilities. Rather than use this insight as a guide to be kind and supportive (as in a healthy relationship) abusers use it to hurt, to belittle, and to control. Psychologists know that even empathy, when put to cruel ends, can foster in an abused woman a sense of connection with her abuser. Sometimes he mirrors her feelings and can be adoring and seductive in his nontoxic state. She may also feel a twinship with him, like they are peas in the same pod and only they truly understand each other and how they tick. Steiner goes on to explain how she was duped in the beginning to fall for her guy, aptly named “Conor.” “One of the smartest things Conor did, from the beginning, was to create the illusion that I was the dominant partner. He did this by idolizing me. He loved everything about me, wanted to know all about my family and my childhood, my hopes and my dreams. I thought Conor believed in me in a way that no one else ever had. “If you had told me that this smart, funny, sensitive man who adored me would one day dictate whether I wore makeup, how short my skirts were, where I lived, who my friends were and where I spent Christmas, I would have laughed at you, because there was not a hint of violence or control or anger in Conor at the beginning. I didn’t know then that the first stage in any domestic violence relationship is to seduce and charm the victim. “I also didn’t know that the second step is to isolate the victim.“ When Steiner moved out of New York City with Conor to remote rural Vermont, and spent her savings to buy their house, and borrowed money from her father to buy their car, she recalls “I had no idea I was falling into crazy love, that I was walking headfirst into a carefully laid physical, financial and psychological trap. Psychologists have coined the term for this unusual feeling of attachment to an abuser as the Stockholm syndrome. Studies show that hostages can become attached to, even protective of, their captors. It is a feeling that grows out of a mix of terror, dependence and gratitude. “We tend to stereotype victims as grisly headlines,” says Steiner, “self-destructive women, damaged goods. The question: ‘Why does she stay?’ is code to some people for, ‘its her fault for staying,’ as if victims intentionally choose to fall in love with men intent upon destroying us. 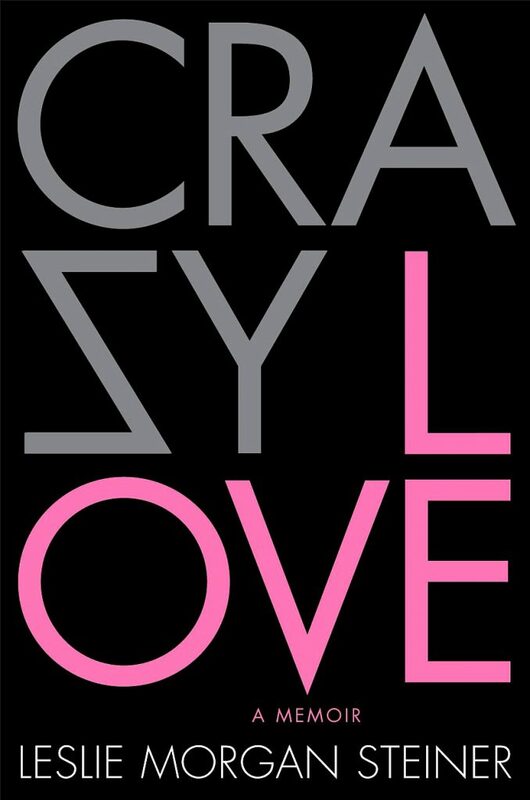 Since Crazy Love was published in 2009 by St. Martin’s Press, Steiner has heard hundreds of stories from men and women who also got out, who learned a invaluable life lesson from what happened, and who rebuilt lives — joyous happy lives — as employees, wives and mothers, lives completely free of violence, as she did. Fear for the safely of children and pets. Recognition the pattern of abuse may reoccur in the lives of their children. A wake up call that he really will kill her. A beating so brutal she was lucky to be alive. Breaking the silence! Telling neighbors friends, relatives, and using social media to disclose the violence. Use of safe houses, safety plans, Hotline counselors, clergy, lawyers, community services. Learning the truth of their victimization: the abuser’s responsibility for the violence, that it was not her fault. Receipt of strength or support from someone in order to leave. Attending women’s support groups — hearing other’s stories and realizing that she is not alone. Interactions with law enforcement. Court advocacy and restraining orders. Counseling. Support groups. Self-esteem workshops. Self-defense training.